I remember a time when compressing images on this blog used to be free. Thanks to the developer of the Smush.it plugin, we got very spoiled and became used to free image compression. In the last few months, everything we knew about free image compression has changed. Now, most of the WordPress plugins which are available online offer a small quota of free compressions & then you have to pay if your usage is higher. 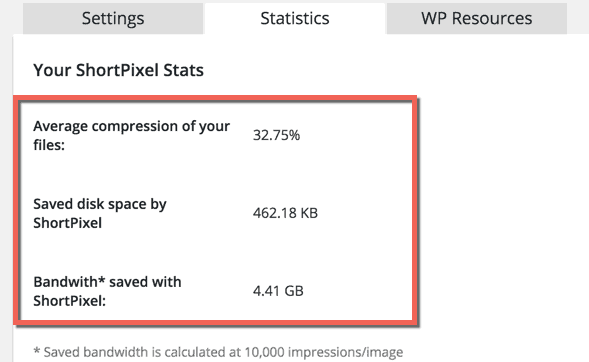 So in this post, I thought it would be a good idea to look at all the existing WordPress image compression tools out there (free & paid). 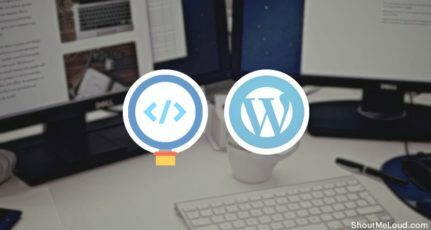 Those who have a small or medium sized WordPress blog can use multiple WordPress plugins to optimize all of their existing/future uploads for free. It might be time-consuming, but I know that when you are starting out, money is more important than time. For those who have a medium-sized or a large blog, you may want to consider going for a paid option. This will help you load your blog faster & will keep your readers happy. That’s a good formula, but let’s get down to the real business. Here are some of the best image compression WordPress plugins. ShortPixel is a developer specifically for WordPress. They offer both free & paid accounts (like all the others). Though, there is one really cool part about this service which I’ll tell you about in a minute. Supports Lossy and Lossless Optimization. Supports JPG, PNG, GIF & PDF. Compress all old uploads with a single click. Process new images automatically on upload. Your free quota & paid quota are treated separately. This way, you always have 100 free image compressions. Option to optimize all images (thumbnail images) or only the original image. 100 free image compressions every month. Refer a friend program: For every referred user you get another 100 images every month. Supported payment mode is PayPal. It’s easy to setup & the interface is very pleasant. You will see what I mean when you start doing bulk image compression with this plugin. Once you have created your free account, log in to your admin area & grab the API key. Install & activate the ShortPixel WordPress plugin. Add the API Key from Settings > ShortPixel. 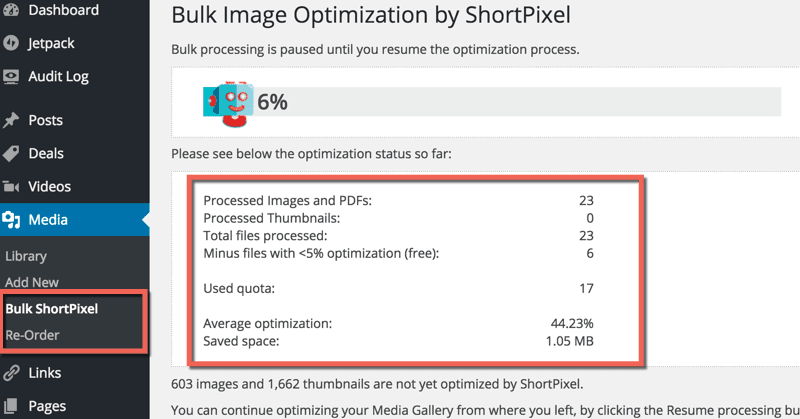 Head over to Media > Library > Bulk ShortPixel to optimize your old images. One cool thing about this plugin is you can deselect thumbnails from compression. This ensures that your free quota is only used for the bigger sized images, which in most cases is the culprit for your slow loading pages. This plugin is updated on a regular basis & has 20K+ active installs with a 4.7-star rating. ShortPixel is an ideal solution for image & PDF compression in WordPress. This plugin is from the developer of the WP-Rocket plugin. It has all the essential features such as bulk compression and image resizing. Aggressive, a lossy compression algorithm. Stronger compression with a tiny loss of quality which, most of the time, is not noticeable at all. Ultra, the strongest compression method using a lossy algorithm. With the backup option, you can change your mind whenever you want by restoring your images to their original version or optimize them at another compression level. In the coming days, they also plan on adding a feature to convert images into WebP format. 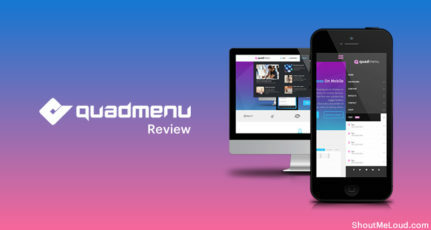 This plugin is also compatible with WooCommerce and NextGen Gallery. Supports JPG, PNG & GIF. Support for PrestaShop, Magento, Shopify, and Joomla coming soon. Images above 5Mb will only be compressed with the paid account. 25 MB free every month. $4.99/month for 1 GB of data. Onboarding is pretty easy & like other plugins, you need to create a free account & get your API Key. The plugin is easy to use & once you have configured the settings, you can start using it right away. You can enable or disable the option to compress thumbnails. Apart from compression, one thing that I enjoy the most about this plugin is the interface. It’s sleek & feels like you are in a game. 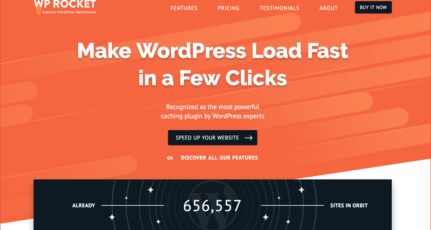 Overall, this is a good plugin & since it’s from the same people as the WP-Rocket plugin, I believe it’s a good choice for anyone looking for reliability. The only thing that you might want to consider before opting for this one is the price. ImageKit is a new entrant but it offering worthy mention features. Do note it’s different than all other image compression plugin listed here as the images will be loaded from imagekit server. This is perfect for anyone who wants to offload image load from the web-server. What anyone would like the most about Imagekit is the control on how and where the image will be displayed. Especially for photographers who wish to specify maximum dimensions of the image can take advantage of restrict image size based on users device feature. In my opinion, ImageKit is not only an image compression plugin but also a CDN for images. This is perfect for any website type but a travel blogger, photographer or any WordPress site which has to use a lot of images will find this service useful. The dashboard is intuitive and settings are easy to configure. You can also see the stats and if you make some major changes, you can clear cache with a single click. They offer 14 days free trial and after that, you can decide if you wish to upgrade to the paid version or not. Since the billing is done based on bandwidth usage instead of the number of images, in 14 days trial you will be easily able to estimate your bill. You can download the WordPress plugin from official repo to connect with ImageKit. In my opinion, Imagekit is perfect for anyone who uses a lot of images on their WordPress site or people who have limited bandwidth. This is another popular solution which I’m sure many of you will like. 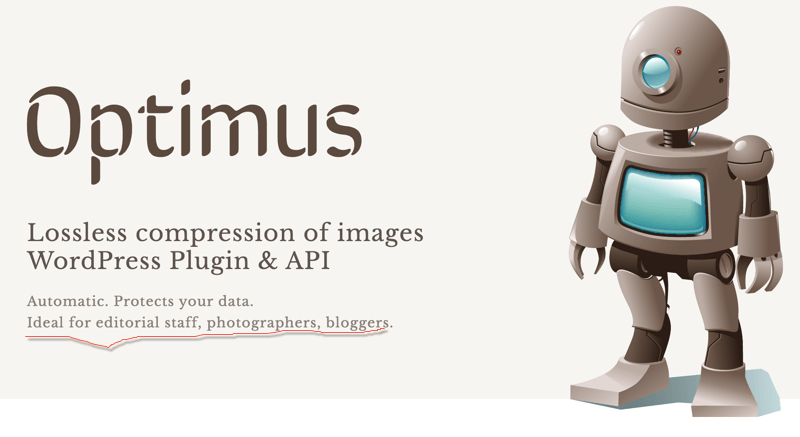 Optimus seems to be a great alternative for the Smush.it plugin as this will let you compress all images <100Kb for free. Unlimited compression of images < 100Kb. 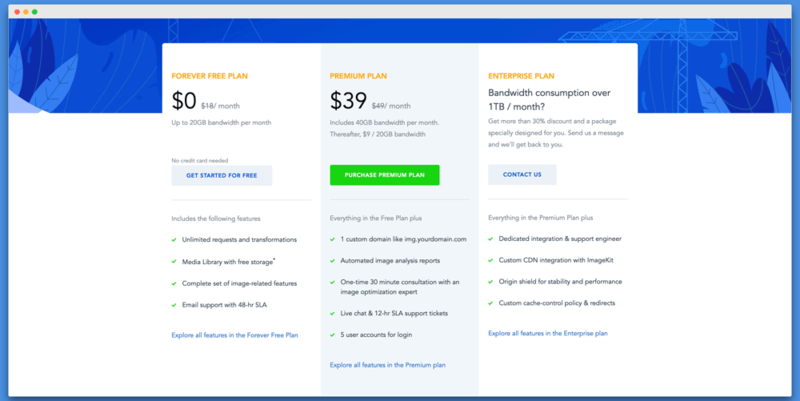 $19 one time fees for unlimited image compression. For the price, Optimus HQ is worth every penny. But I would really like to see improvements in their bulk compression feature. If you stop the bulk compression in between & start the process later, it will start compressing all images again. It would be better if it could skip those images which have already been processed. TinyPNG is a somewhat popular online service to compress images. Automatic compression for new images. Supports JPEG & PNG files only. Single API can be used for multiple sites. 500 images compressed each month. 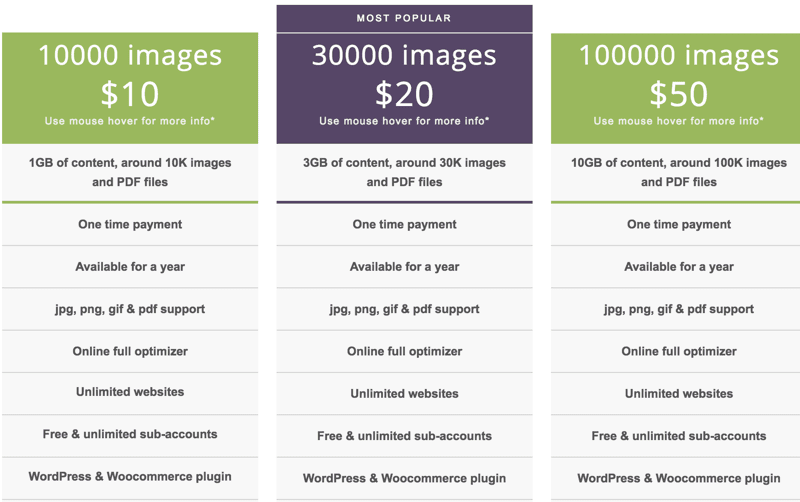 10,000 images costs $85.50 (One of the most expensive for heavy users). After activating the plugin go to Settings > Media. Get your free API key from here, add it & configure any additional settings you want. Go to Media > Compress all images & start compressing all of your old images. You can also go to the media uploader & selectively compress individual images (which is a good idea to conserve your quota). I talked about this one in an earlier post on online image compression tools. While researching for this post, I got to know more about their WordPress plugin & I signed up for a free account. One cool thing about this plugin is it lists down all the images in your theme folder. You can select individual ones or you can select all & compress those images. Preeeetty cool, huh? All plans support multiple websites. 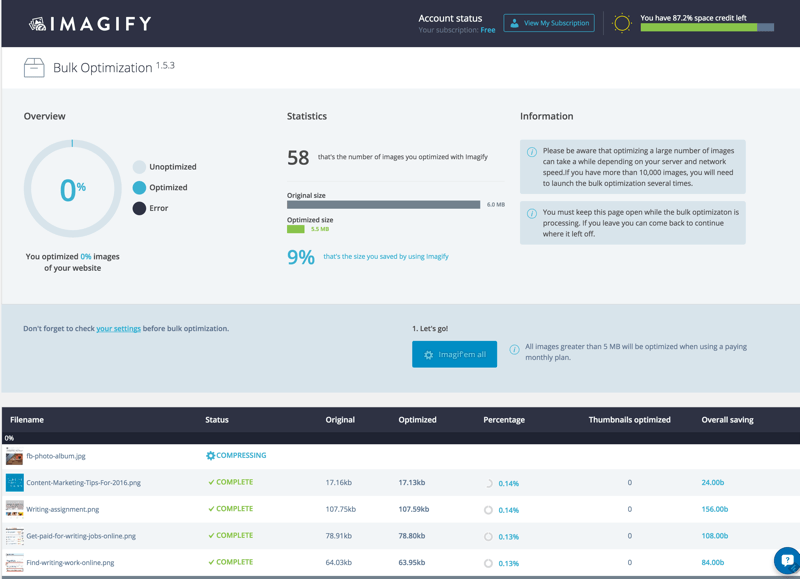 Supports sub-accounts & you can define a quota for it (good for agencies). Supports restoration of original files (images + PDF) for one month. 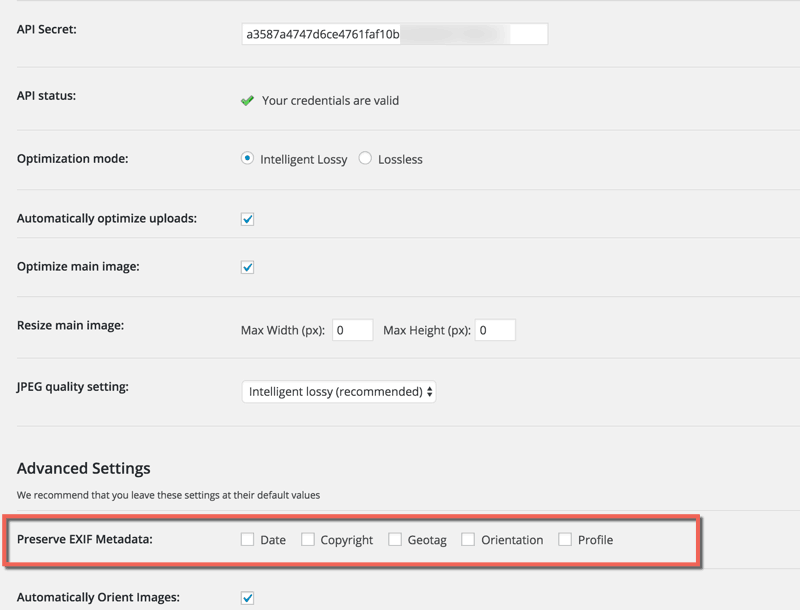 Compress all previous images in WordPress with one click or compress images selectively. The plugin is pretty easy to use & in most cases, it auto-detects your API if you are logged into their online portal from the same browser. Note: It directly leads to the media uploader for compression which might not be good for users. The first screen after activating the API should be the plugin settings. Anyway, you can access it by going to Settings > ImageRecycle. When I was testing this plugin, I realized my blog slowed down a lot. This could have been for multiple reasons, so it should not stop you from trying it. But since it happened with me, I believe it’s good to at least let you know. Once you have setup the settings, go to Media > ImageRecycle to start compressing. One thing which I really like about this plugin is you can sort images based on size, which is useful when you want to take care of really large images first. Overall, their WordPress plugin is pretty solid & could be your next image optimization WordPress plugin. This is another paid plugin that is quite popular. With 10K+ downloads & an overall rating of 4.7/5, it looks very promising. Their web service lets you download & compress images from a web page by downloading all the images into a single zipped folder. Keeps backup of original image in cloud storage. Preserve selective image EXIF data. 100 MB one-time testing only. Maximum allowed size – 1MB. $4.50/month (calculated relative to other services). The plugin is also straight-forward to configure like all the other image compression plugins on this list. The option to preserve specific data like Copyright is pretty smart. It would be good if other plugins also follow this trend. One big thing missing from this plugin is bulk image optimization. So it’s not ideal for those who are looking to optimize existing images. You will need to manually compress them. I have compiled those services from above list that offers a free image compression quota every month. If you have a small or a starter blog, this should be enough to take care of your monthly need. These are the paid services that I like based on features, user experience & pricing. In my opinion, TinyPNG hardly deserves to be on this list due to its high pricing & limited features. Imagify is what I would recommend for a paid image compression service. 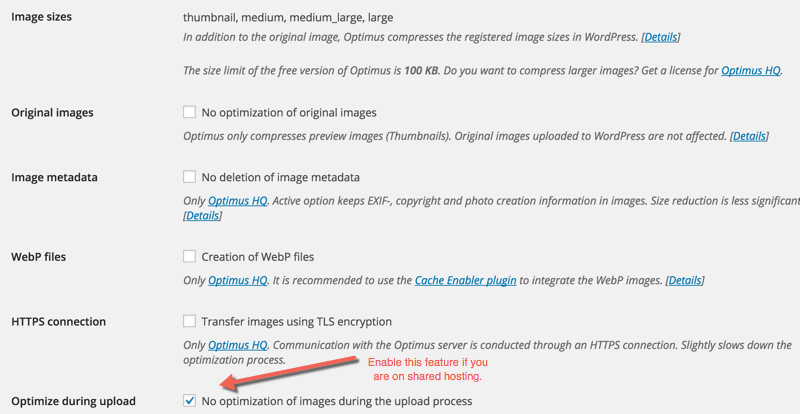 Again, I will keep adding new WordPress image compression plugins in the future. Which WordPress image compression plugins are you using & why? Enjoyed reading this guide? Do share this list with your WordPress users on Facebook & Twitter. Beautiful list! But, i will suggest Kraken plugin, which works the best for me, and i hope it will wprk best for everyone out there! I am using WP Smush free version and its compression level is low. I will try the above-listed plugins to choose which is best for me. Thanks a lot Harsh Agarwal for this valuable article. I wasn’t found any perfect image optimizer for my blog. But After seeing this article I implemented Imagify on my website and it’s working great on my blog (Free version I’m running, after this image count I’ll go to paid version). This article really saved my time and searching. Thanks again Harsh Ji. We all know the importance of compressing the size of the images we upload to our site, most of these images are very big in size and needs to be reduced at all costs. I love all the tools you mentioned here, even though I don’t know all of them. I’m currently using wp-smushit. However, I’ll take some time to check out these tools. If you have the technical skills and you’re running your own VPS, you could also look at running a daily script to compress JPG and PNG. I use jpegoptim and pngquant to reduce the size of images on my sites, wrapping them in ‘find’ calls that look for files added in the last 24hrs in the WordPress uploads directory. Thanks for the list of these image compression plugins but according to me ShortPixel seems to be great. Currently, I’m using a free tool called tinypng. It’s not a plugin but it helps a lot to compress images without losing their quality. But having a good image compression plugin will save our a lot of time. I’m definitely going to try ShortPixel and will share my experience. Thanx sir for sharing this article, I am currently using blogger platform as I am new in blogging, So can you tell me how to compress images without losing quality for blogger blogs?? You can use Wp smush. Thanks a lot for this great article Harsh! Image compression and optimization is very important to improve the loading speed of a website. I use WP Smush in my blog, this one is developed by the people from WP-Optimize and UpdraftPlus, which are also great plugins, it works great for me. I’ve also used Imagify and TinyPGN, those have also given me great results in the past, although I prefer WP Smush at the moment. Thank you for this best WordPress image compression plugin list. But it has many paid plugins.So, i am requesting from you to make another list of best free WordPress compression plugin list. Well, thanks for the information it helped me to know which one is better. now i can choose the best when i will go with paid plugins. The plugin list is quite amazing. I had personally used ShortPixels and Optimus earlier but now I have found permanent solution for image compression without any Subscription. Wow, that’s quite a lot of information. Thanks for the post and the tools, I will try shortpixel first. I always rely on Photoshop, but this time I would have to download all images and compress them “manually” in PS, so I hope that shortpixel will save me some time. Hello Sir ,Thank you for the list of those image compression plugins but consistent with me ShortPixel seems to be first-rate. presently, I’m using a unfastened tool called tinypng. It’s not a plugin however it enables a lot to compress snap shots without dropping their first-rate. however having a good picture compression plugin will keep our a lot of time. I’m without a doubt going to attempt ShortPixel and will share my enjoy…!!! I have used Kraken and it works like charm. Thanks for this wonderful post and the new font definitely looks good. I was using some online tools for image compression, but I’m going to test the Shortpixel and see the result. Thanks for the post. I don’t know how to add an API. Do you have a link for instructions on this?